Trade talks - how they may affect the currencies? Now let’s look at the aussie. 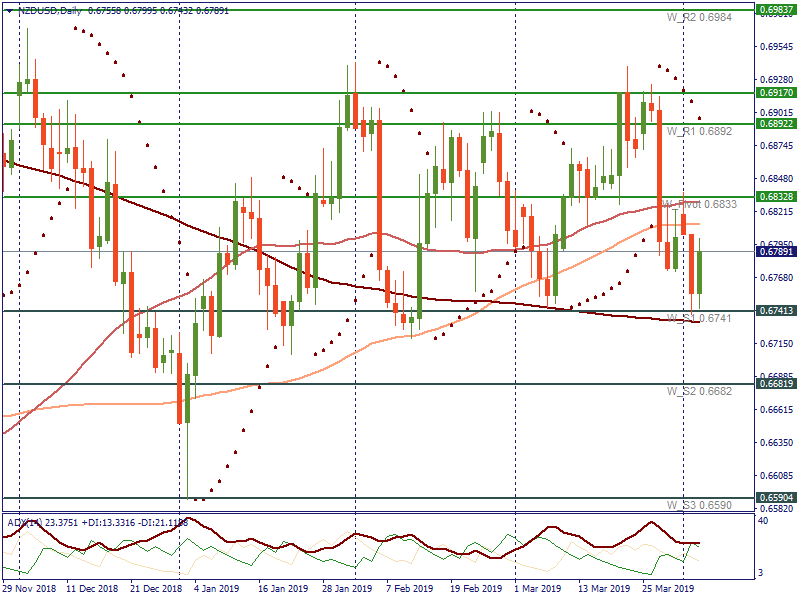 Here, AUD/USD has been trading sideways since the middle of March on the daily timeframe. At the moment the pair is testing the 50-day SMA. 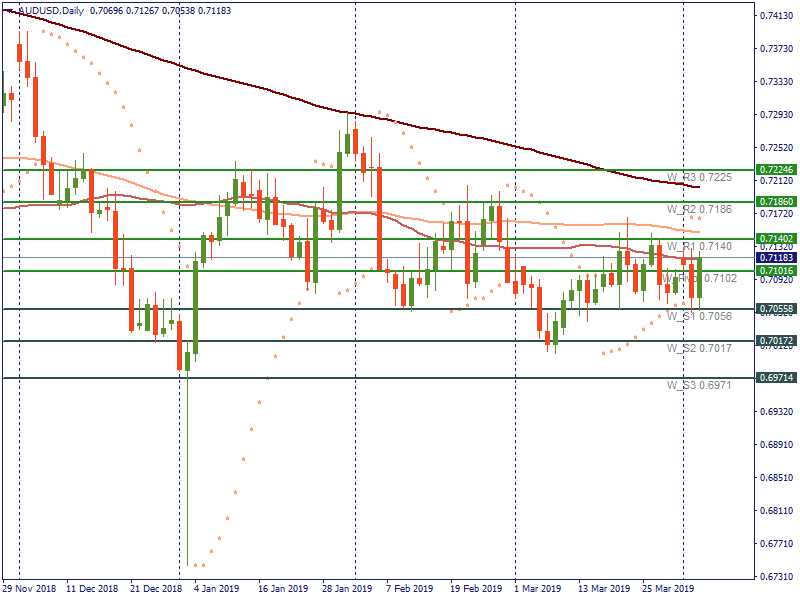 Bulls are trying to push the pair above this level towards the weekly pivot resistance at 0.7140. The next resistance lies at 0.7186. If bears take over the market, the aussie will fall downwards below the central pivot at 0.7102 to the support at 0.7056. The next support is placed at 0.7017. Parabolic SAR shows an upward movement for the pair on this chart.